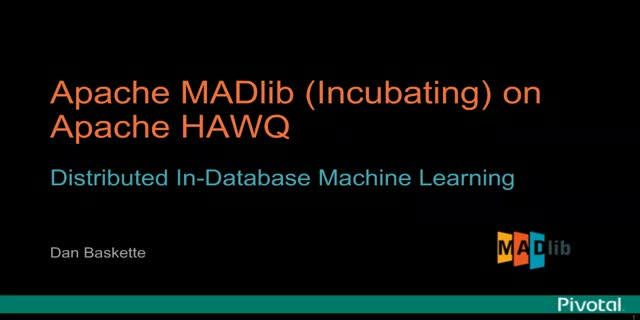 Part four in a five-part series, this webcast will be a demonstration of the installation of Apache MADlib (incubating), an open source library for scalable in-database analytics, into Hortonworks HDB. MADlib is an open-source library for scalable in-database analytics. It provides data-parallel implementations of mathematical, statistical and machine learning methods for structured and unstructured data. This webinar will demonstrate the installation procedures, as well as some basic machine learning algorithms to verify the install.